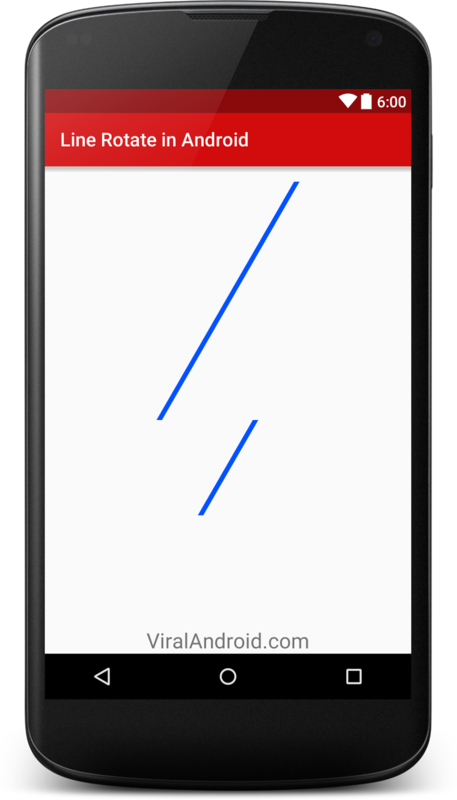 In android, you can easily draw a line in drawer file and rotate it. In this example, I will show how to rotate a line in android using xml drawable. To draw and rotate a line, first of all create a xml drawable file in drawable directory and link it in your xml activity like the following example. This layout contains a view and set background to the above xml drawable file. Following is the default java code of MainActivity.java file.